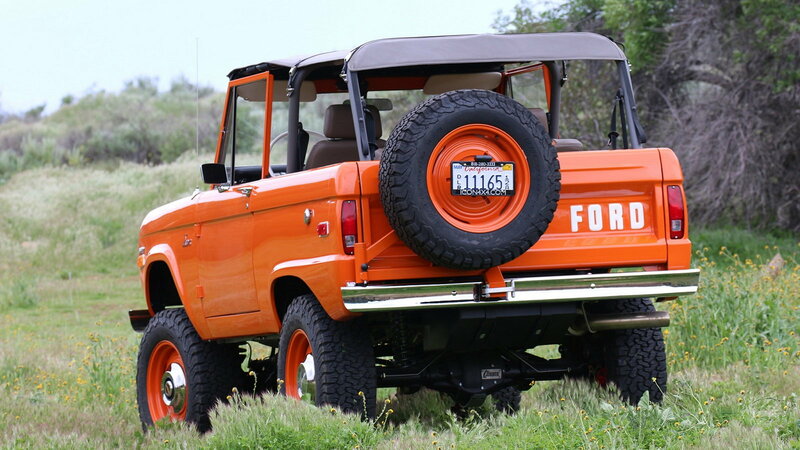 Daily Slideshow: Bronco restomods just don't get any finer than this ICON, which packs unmatched attention to detail. Buyers strapped with plenty of cash these days have no shortage of incredible Bronco restomods to choose from. 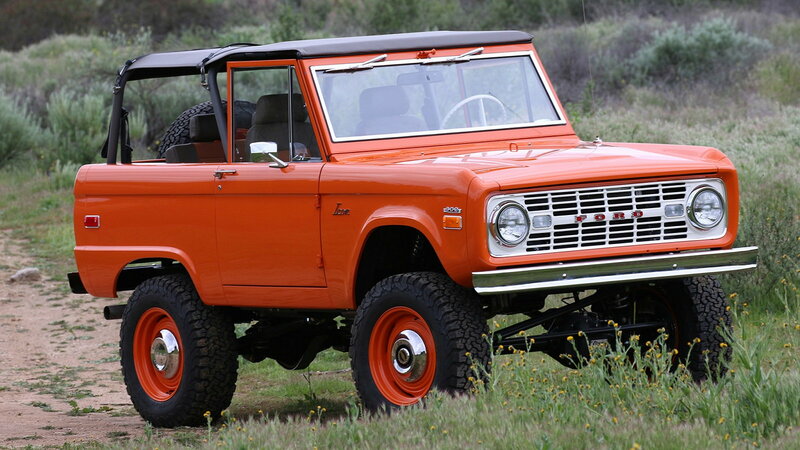 There are quite a few companies out there transforming first-gen Broncos into modern machines, that's for sure. But no one does it quite like ICON, an aftermarket builder that modernizes these vintage SUVs while simultaneously retaining their classic looks. Photos Courtesy of Bring a Trailer. 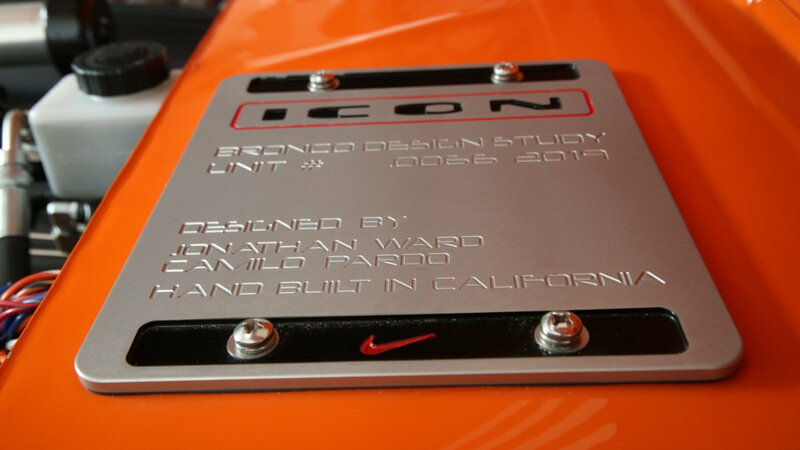 Sure, ICON Broncos go for eye-watering money. As in hundreds of thousands of dollars. And that's what this beautiful '66 sold for in a recent Bring a Trailer listing - $291,000 to be exact. But the cool thing about this particular sale is that 10% of that went to benefit the Emerging Designer Scholarship Fund. 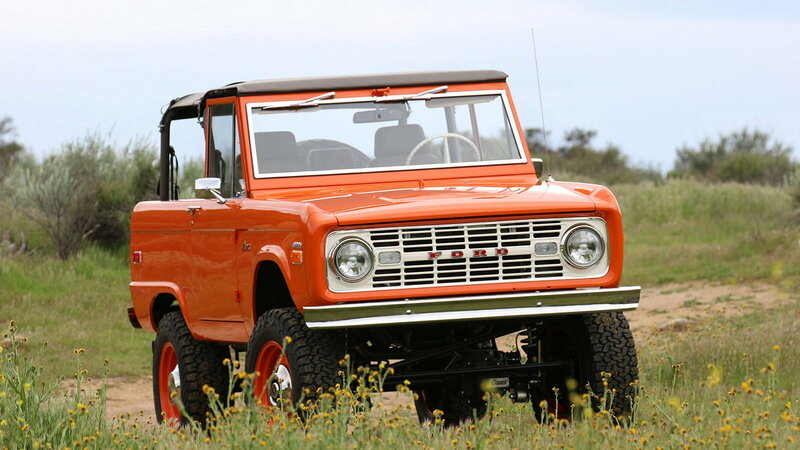 >>Join the conversation about this ICON Bronco right here in Ford-Trucks.com. This particular Bronco is part of ICON's new "Old School" collection, vehicles designed to retain most of their original styling character while also thoroughly upgrading all the mechanicals. So even though it looks mostly stock, this old Bronco rides on a brand-new Art Morrison chassis. 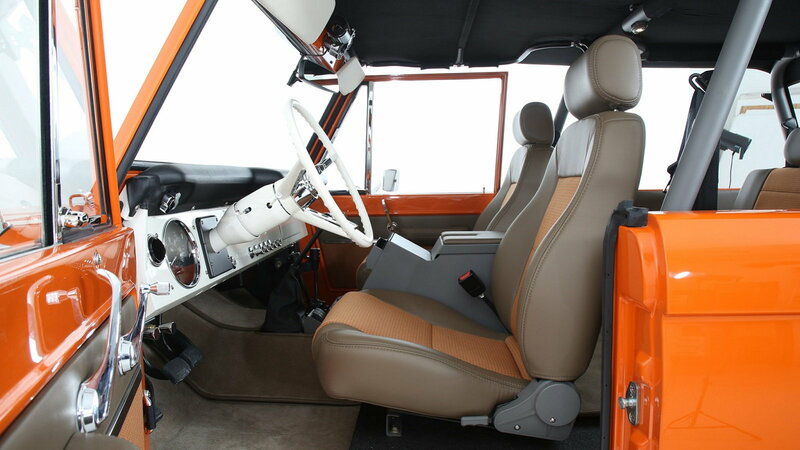 The glossy orange exterior is nicely matched by the Moore & Giles Mushroom beige Carlyle leather seats with orange houndstooth inserts on the seats and door panels. 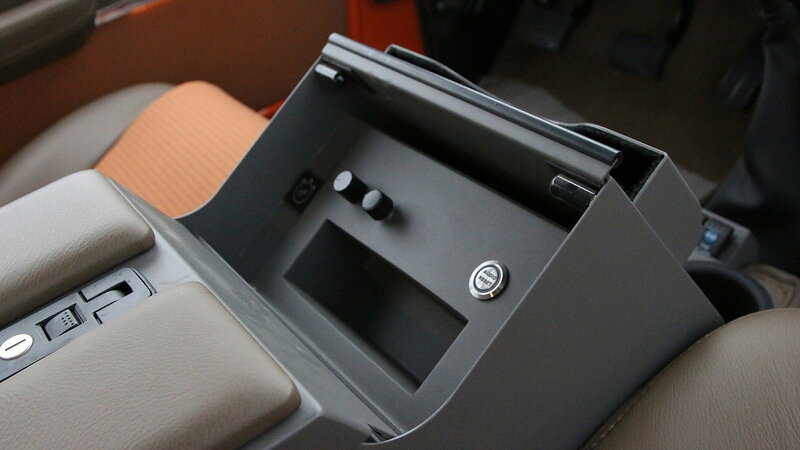 The seats are also heated, and there are power door locks, too. Furthering the new/old look is a mostly stock dashboard with vintage knobs, a 3-spoke steering wheel, and a new tilt column. A Bluetooth stereo with amp and subwoofer lend some modern sounds to this old fashioned-looking interior. Like every ICON Bronco, this '66 packs some seriously modern power in the form of a 5.0-liter Coyote V8 producing 426 hp and 402 lb-ft of torque. It's backed up by a 5-speed manual transmission, Atlas II 2-speed shift-on-the-fly transfer case, and custom Currie Dana-based powder-coated axles equipped with ARB locking differentials. 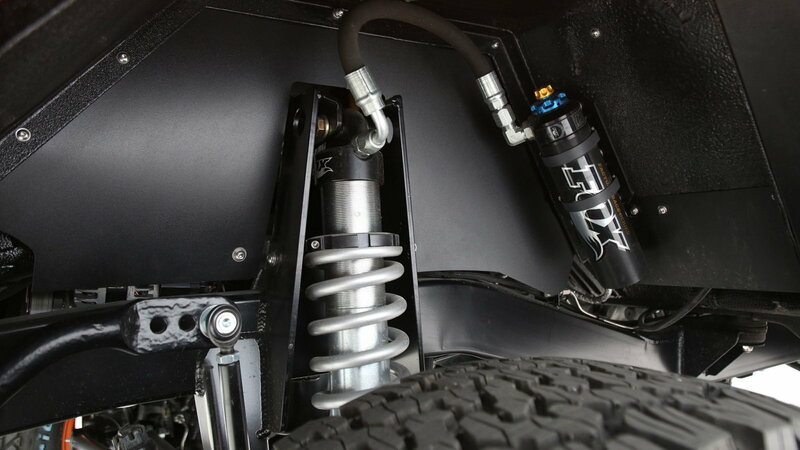 The new Art Morrison chassis has also been outfitted with a slew of upgrades including nitrogen-filled Fox shocks, Eibach coil springs, and beefy front and rear sway bars. 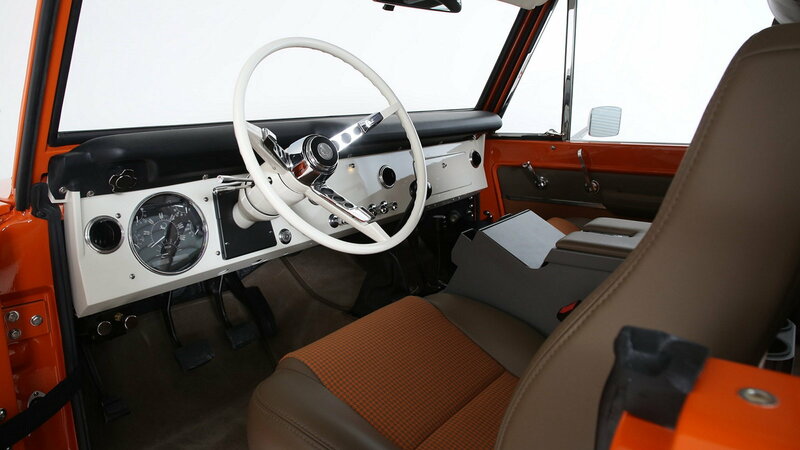 All of this modern kit has been masterfully incorporated into the classic Bronco in a way that only ICON can do it. 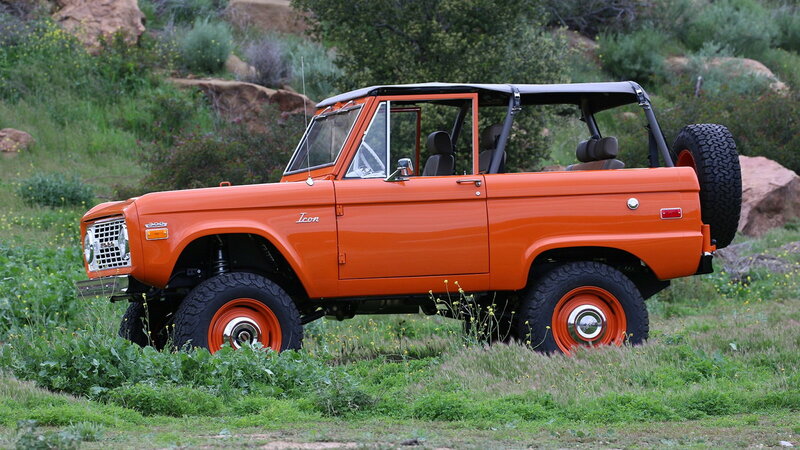 If you didn't know any better, you might just think this is a nicely restored, regular old first-gen Bronco. Even the wheels, which look like they could be stock steelies, are custom CNC-machined from forged aluminum and fitted with hubcaps. The BF Goodrich K02 tires are obviously light years ahead of vintage rubber, but modest sizing makes them blend in as well. Throw in things like AMP Research PowerSteps, extensive sound deadening, and massive Wilwood/Brembo brakes, and you've got a classic Bronco that looks like a classic Bronco, yet drives like something brand new. And heck, since some of the money went to charity, you can almost justify that lofty asking price, no?